The #4 Lady Lobos of Many Farms take on the the #2 Lady Falcons of Alchesay High School. This game is for 3rd place in the 2A North Region Tournament. Click the image below to watch this game. Scroll down to find the rest of the 2A Region Tournament Championship Games. The #4 St. Johns Redskins take on the #2 Pirates of Valley Sanders High School. This is the Boys 3rd place game of the 2A North Region Tournament. The #3 Lady Redskins of St. Johns High School take on the #1 Lady Pirates of Valley High School. This is the 2A North Region Championship Game. 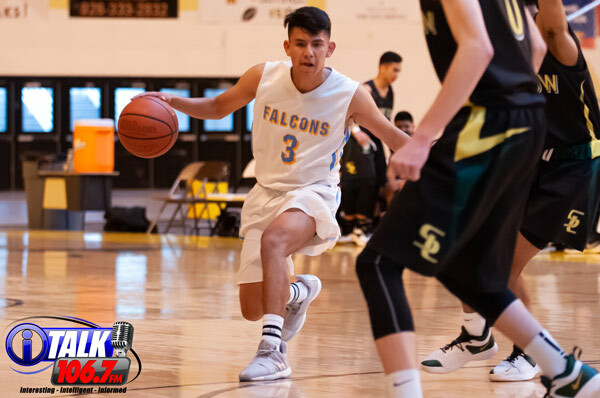 The #3 Bruins of Hopi High School Take on the #1 Falcons of Alchesay High School. This is the 2A North Region Boys Basketball Championship.